What you can see from the surface can be misleading as most of the iceberg is hidden below water. This is how anger works. Think of anger like an iceberg, a large piece of ice found floating in the open ocean. Most of the iceberg is hidden below the surface of the water. 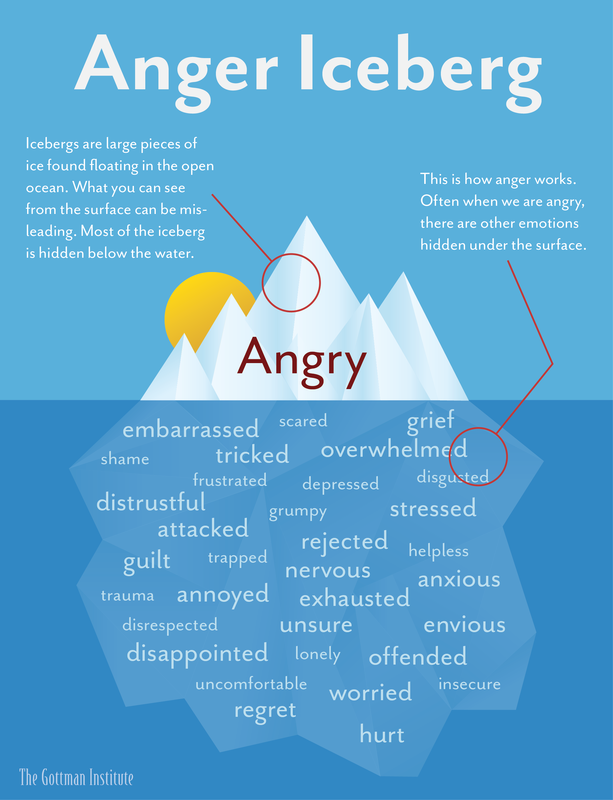 Similarly, when we are angry, there are usually other emotions hidden beneath the surface. It’s easy to see a person’s anger, but it can be difficult to see the underlying feelings the anger is protecting. When I work with couples and one of the partners get angry, I have witnessed the other partner say, “Calm down,” or, “You’re overreacting.” This tells the recipient that their feelings don’t matter and they are not acceptable. When you do this well, your partner’s anger will subside and the primary emotion will rise to the surface. Not to mention, they will feel heard by you, which builds trust over time. The Marriage Minute is a new email newsletter from The Gottman Institute that will improve your marriage in 60 seconds or less. Over 40 years of research with thousands of couples has proven a simple fact: small things often can create big changes over time.